San Francisco early-morning D.J. Alex Bennett had a special spot in his heart for comedians and frequently invited them as guests on his talk show. 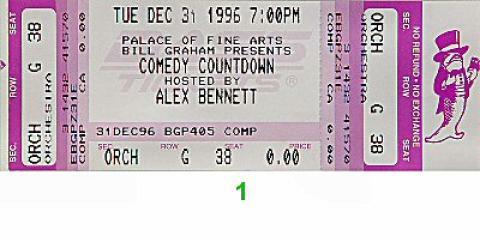 The Alex Bennett Comedy Countdown at the Palace of Fine Arts on New Year's Eve, 1996 featured six humorists and satirists, one of whom, Johnny Steele, took over Bennett's radio spot via amicable transition in 1998.